Douglas Lambert releases new album ‘There’s Still Hope’ | Sonic Smash-Music! The composer, songwriter and performer of smooth jazz known as Douglas Lambert has released his latest official album, “There’s Still Hope.” It contains nine original numbers for an approximate total listening time of 40 minutes. The record has been proudly published as an independent release without the direction of the corporate music industry. Smooth, suave, and bearing the same classiness that first popularized his “Say It Again” EP, “There’s Still Hope” is a work of adult contemporary music which will appeal to a broad spectrum of music fans. Douglas Lambert cites as main artistic influences such legends as Barry White, Donny Hathaway, Stevie Wonder, Thom Bell, Horace Silver, Ramsey Lewis, and George Duke. If this dignified roster doesn’t give a round idea of what to expect from “There’s Still Hope” and the rest of Lambert’s repertoire, “There’s Still Hope” may be considered an entry-level crash course in the music of the above. Music fans can expect synth-powered, funk-filled and soulful R&B stylizing, with contemporary additions which will surprise and delight fans of the genre. Such surprises include but are not limited to the Carlos Santana-esque electric guitar which takes center stage on Track 5, “Hope Interlude, Island Love,” a disco-flavored dance number complete with a prominent, poppy bass line (Track 2, “Carnival”), and mashups such as “Space Cadet,” Track 6, which seamlessly blend two or more categories of music (funk, adult contemporary). hits the adult contemporary register with the most punch, as seen in its closing one-two combo, “Nobody Can Love Me Like You” and “Nice and Easy,” Tracks 8 and 9 respectively. As a result of the musical tour Douglas Lambert’s “There’s Still Hope” provides, his latest LP is likely to appeal to fans of R&B, cool jazz, smooth jazz, contemporary jazz, adult contemporary music, and much more. 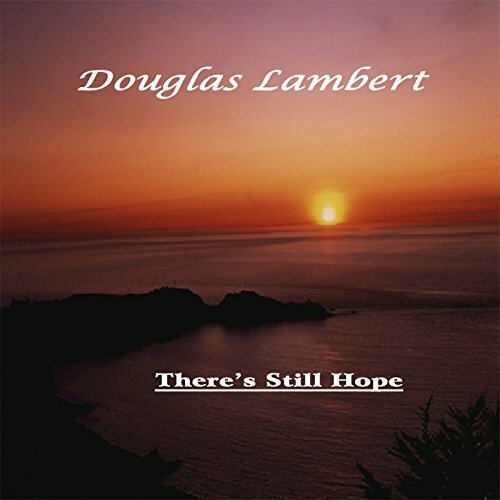 “There’s Still Hope” by Douglas Lambert is available from over 600 quality digital music retailers online worldwide now. Get in early, listeners. This entry was tagged douglas lambert, new adult contemporary, new jazz, there's still hope.